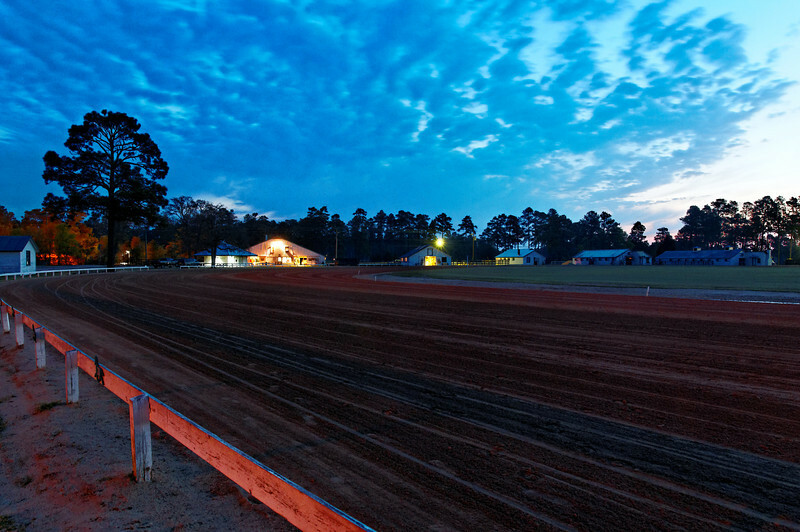 These are pictures from the 2011 Pinehurst Harness Races (Matinee Races) conducted at the Pinehurst Harness track which is in the Pinehurst Country Club area on Highway 5. The races are held on a Sunday in early April. The horses are there for the month of March training and getting ready for the season. You can see them running early each morning. The Track restaurant is located there also and is a great place for breakfast -- famous for its blueberry pancakes. The drivers (not jockeys) ride a sulky or bike. The horses are pacers, meaning that they stride with both legs on the same side at the same time, so both left legs go forward and then both right legs. Trotters use the forward leg on one side and the rear leg on the other. Henry Astor introduced harness racing in the US in 1788. The horses are Standardbreds vs. Thoroughbreds. The races are a colorful, fun family event with everyone picnicking and having a good time. If you are able to attend, you would enjoy the afternoon. Races are from 1-6 PM.